Too old for knee replacement surgery? 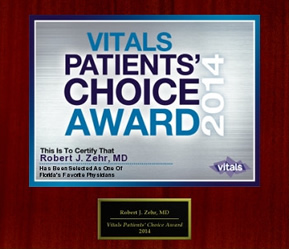 Ask Dr. Zehr! Too old for knee replacement surgery? Too old for knee replacement surgery? Nonsense! Each year, over 580,000 people in the U.S. undergo total knee replacement surgery. Typically, candidates for knee surgery are individuals with chronic joint pain from arthritis that severely diminishes their ability to perform normal daily activities. This often leads to a loss of independence and self-esteem. A replacement joint can make a big difference in your ability to return to work or other activities that you enjoy. We have broken down the basic information on knee replacement surgery into four steps, which we will look at one at a time over the next few weeks. In the knee joint there is a layer of smooth cartilage on the lower end of the femur (thigh bone), the upper end of the tibia (shinbone), and the under-surface of the kneecap (patella). This cartilage serves as a cushion and gliding surface which allows for smooth motion of the knee. “Arthritis” is a wearing away of this smooth cartilage. Eventually it wears down to bone. Rubbing of bone against bone causes pain and stiffness. A total knee replacement is really a “mechanical cartilage” replacement with an artificial surface. 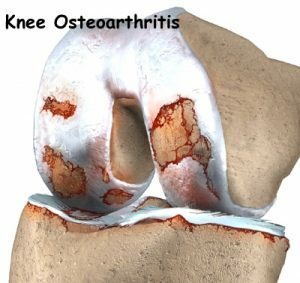 The knee itself is not replaced, as is commonly thought, just the surfaces where the cartilage on the ends of the bones has worn away. This is done with a metal alloy on the femur and tibia, with a plastic bearing sliding surface between the metal parts and beneath the kneecap (patella). This creates a new smooth cushion and a functioning joint that does not hurt. Most patients (90%) achieve good to excellent results with relief of discomfort and significantly increased activity and mobility. 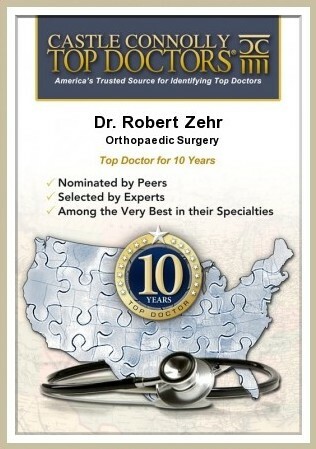 Your orthopaedic surgeon will determine if you are a candidate for the surgery. This will be based on your history, physical exam, x-rays and response to conservative treatment. The decision will then be yours as this is elective surgery. Am I too old for knee replacement surgery? Age is not a problem if you are in reasonable health and have the desire to continue living a productive and active life. You may be asked to see your personal physician for their opinion about your general health and readiness for surgery. We have patients in their 90’s who get knee replacements and do very well.